Reducing your debt is the key to a happier life. Success can be measured by how satisfied we are in our lives and finding financial freedom is an important step. It is one thing to want to do something and quite another thing to achieve it. Millions of people each year plan to reduce their debt but it can be overwhelming. There are a number of tools available to help you create a plan, manage debt, and continue to motivate you on your quest of becoming debt free. This article will highlight the best debt reduction tools. It is up to you to decide which program makes the most sense to you. This software is free and it provides you with charts, progress e-mails and a community forum. The charts are particularly ideal for those that like to see their goals laid out before them and the e-mails track our goal progress. The community forum will help you stay motivated and it is nice to chat with other people working towards similar goals. Dave Ramsey, of radio fame, is the creator of this program. This calculator is designed as a supplement to people who listen to the Dave Ramsey radio program. This calculator has a monthly fee of $7.49 but it offers a free test period. Enter all of your loans, credit cards and other debts including interest rates and it will provide you with a debt free calendar date. The “Payment Schedule” option will show you a chart with your payments for the next few months and years. The format of this program may be helpful to those who follow Ramsey’s plan and it is among one of the best debt reductions tools. Mint is a popular program that many households use to track a budget. The Goals with Mint program option allows you to integrate your monthly finances with your personal financial goals. The Goals section can be customized or you can select saving for college, retirement, take a trip, buy a car, buy a home, improve my home, pay off loans, pay off debt or save for an emergency. This program allows you to link a checking, savings or credit card to the software and it will give you a debt-free date. This program is free with an established account from Mint. This free calculator offers you three choices; minimum monthly payment, debt-free deadline, or fixed monthly payments. This allows you to adjust the way that you pay your debt and calculates the date based on your selection. This program shows you the best way to re-pay your debt based on what you are capable of doing. LearnVest is the best debt reduction tool for those of us who need a long term plan. The financial planners at LearnVest will help you choose a 5-year plan and design a target date for you to be debt free. This program is $19.00 a month and well worth it. Having a financial planner will force you to be accountable and the results will be nearly instantaneous. This program is free and it works in a similar manner as the debt snowball plan. Suze Orman calls her plan the Debt Avalanche Method. After you have entered all of your credit cards, loans, interest rates and available funds into the system, it will formulate your plan. The Debt Avalanche method involves paying off high interest loans first and the minimums on other loans or credit cards. Once that is paid off, the leftover income will be used to pay off the next high interest debt until you are free of debt. This plan offers two program options; the snowball and the avalanche. These programs are the same as aforementioned. This free calculator that will provide you with a chart and a debt-free date once your entire loan, credit cards and interest rate information is put into the system. The key to all of these programs is accountability and knowledge of your debt. 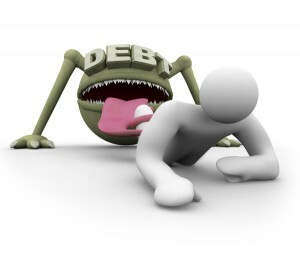 It is important to understand debt in order to develop a comprehensive plan for becoming debt free. These are the best debt reduction tools available but no plan will work if you do not work the plan. I suggest trying the free programs first and then if you do not like those, invest in a monthly plan. A financial planner may be necessary to keep you on track and to help you understand debt and finances. Any fees paid to help you get out of debt should be considered investments in your future. Educating yourself in personal finance could lead you to a more fulfilled life. Perhaps you could prepare for a better retirement or take job risks. These things can be attained through the freedom of debt.